Lovely room, top location, good WiFi and hot shower. Very helpful family - helped us with plane ticket problems when ours got cancelled and planning our unguided trek. Thankyou! Excellent place to stay. Management was especially good. Clean, quiet, comfortable and convenient. No problems whatsoever. Me and gf have travelled Asia quite abit in the last couple of years and this hotel is by far the best we have ever stayed at, it truly felt like home, the owners are the nicest people we have ever met , I recommend booking taxi’s, buses , anything through them they will get you a very fair price. 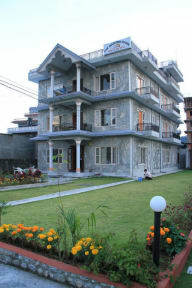 The room we stayed in was huge and the showers were perfect , if we are ever in Pokhara again we will be staying here!! My friends and I had a wonderful stay here! We will definitely stay here again the next time we return. Location is excellent and our rooms had a spectacular view of the mountains and were spacious and clean. Hot water shower was much appreciated after a long trek. Stan also arranged for our permits and TIMS cards, guide, and transportation for our ABC trek. He was very thoughtful and honest and we felt at home staying here, and we were very glad to have his help planning our trek. The room was large and clean. The owners were very nice and accommodating. The only improvement is that the showers were lukewarm but everything else was wonderful. Super staff that is always ready and happy to help you for whathewer you need. + A lovely guesthouse in a lovely location! 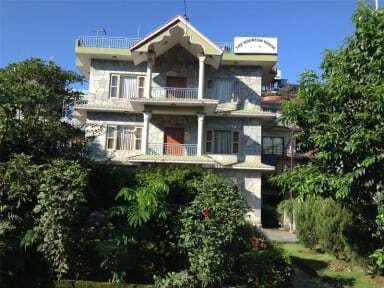 Pokhara is beautiful and this is a very good option to stay near the lake. Excellent cheap restaurant across the street. The owners are really nice and helpful. Decent rooms. - Showers were cold (not fun). Rooms could have daily cleaning. Owner sold me a trip to Chitwan which was nice. That being said, you can do much cheaper when you get there! Could create a better atmosphere among travellers - no hostel vibe at all. Maybe free tea in common room?